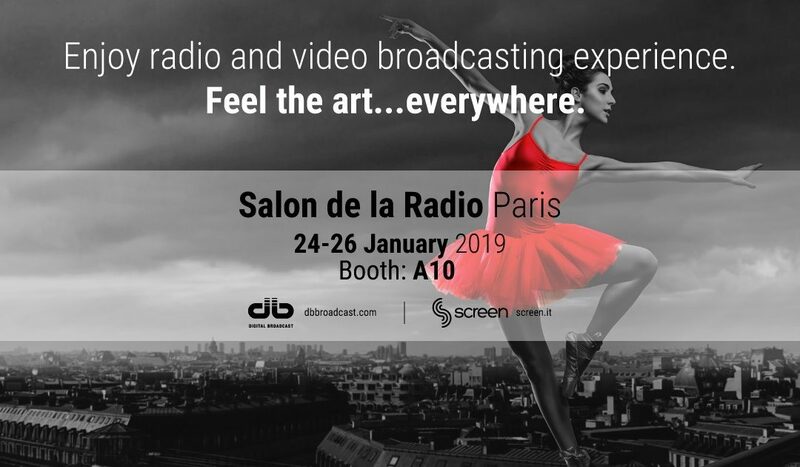 Salon de la Radio is the French and international reference radio exhibit, with more than 6000 visitors, daily networking and meetings we couldn’t miss this event this year as well. At the Expo we are showing the SFT DAB Digital Radio Transmitter. You will be able to know first-hand this product and ask to our team more info about the most suitable solutions for you. So, don’t miss the opportunity to test our radio transmitters and have a talk about your passion for the broadcasting world with our staff. The expo will be held in Paris at La Grande Halle de la Villette, from 24 to 26 January 2019, we are waiting for you at Booth: A10! And don’t forget…with us you will Feel the art of broadcasting…everywhere!